Why bites? There’s lots of evidence suggesting that shorter videos are better. Did you know that 20% of viewers leave within 10 seconds of video playing? By 120 seconds, 60% of viewers are gone. With most webinars being an hour long, this is an issue. 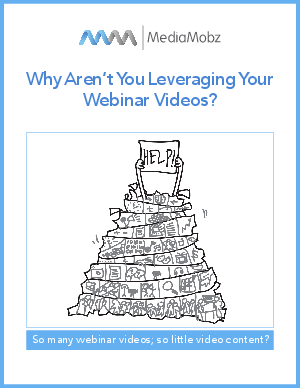 The answer is to slice up your webinar video into bites that are as small as 90 seconds, which is the perfect length video to post to social media channels, blogs, emails, etc.